There are different ways people can get paid. Some get paid on an hourly basis, some on a monthly salary, and some on commission. In this article, we’ll talk about the latter. 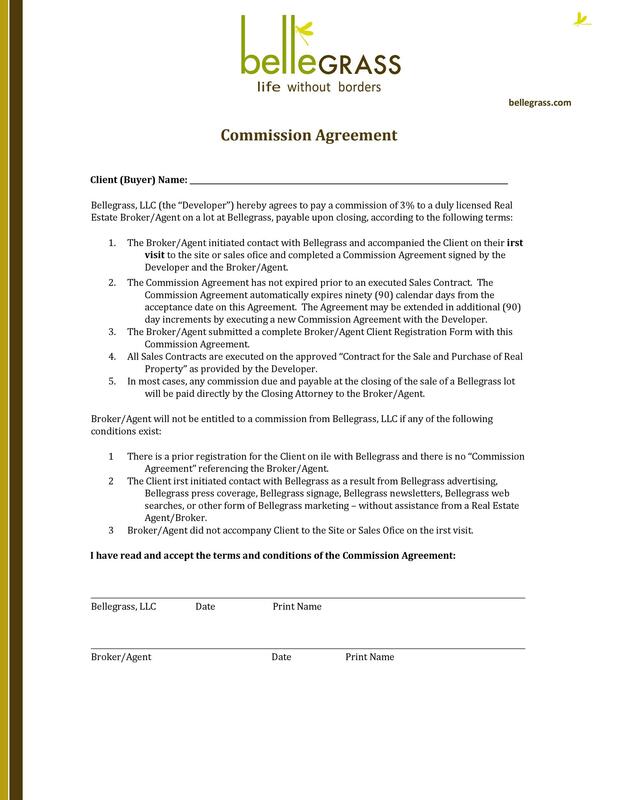 If you get paid on commission, you should sign a commission agreement form. 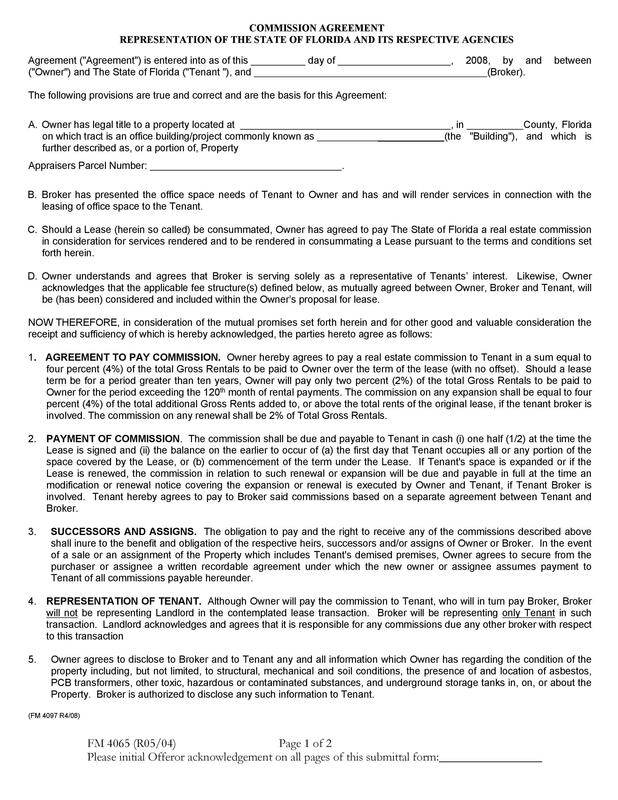 The agreement would contain the terms of employment and your compensation. This is important so that the employer and employee have clear expectations. Hiring a new employee who will get paid in part or in whole on commission. 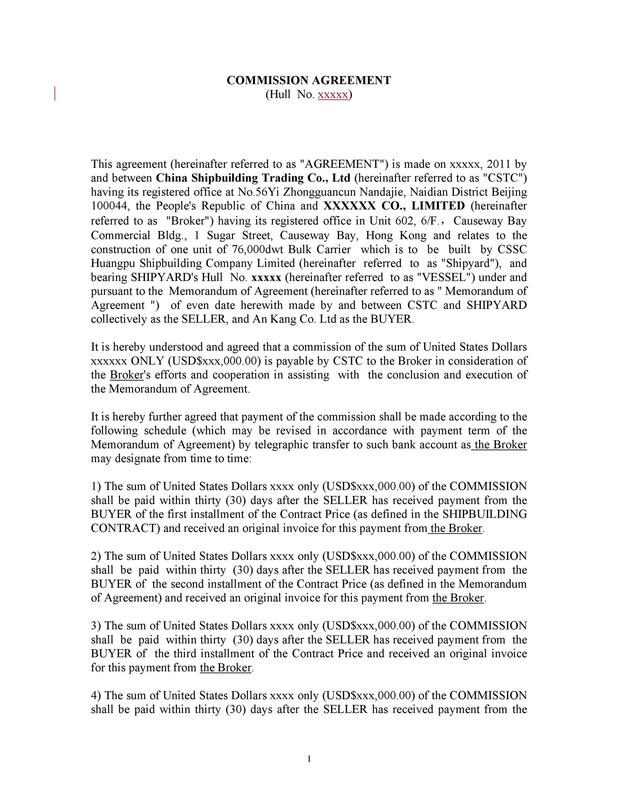 The agreement would help clarify all the terms of the employment. It would contain all the expectations and rights of the employee and employer. Someone hires you and you’re going to get paid on commission. 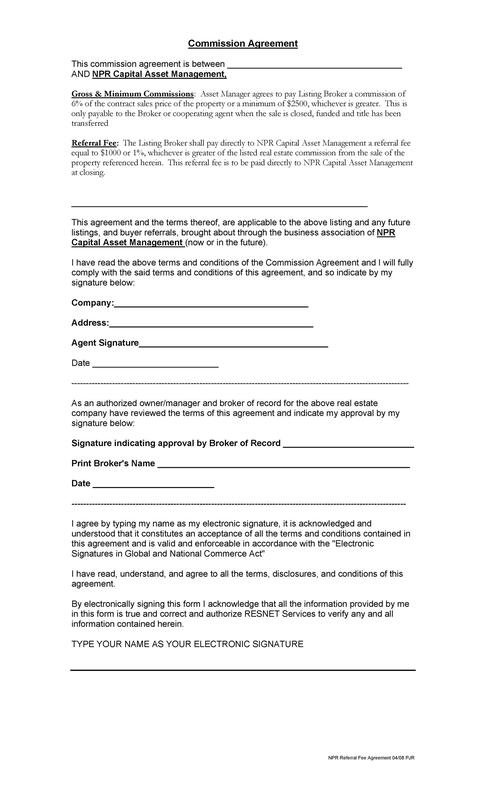 If the employer doesn’t let you sign a commission contract, come up with your own template. 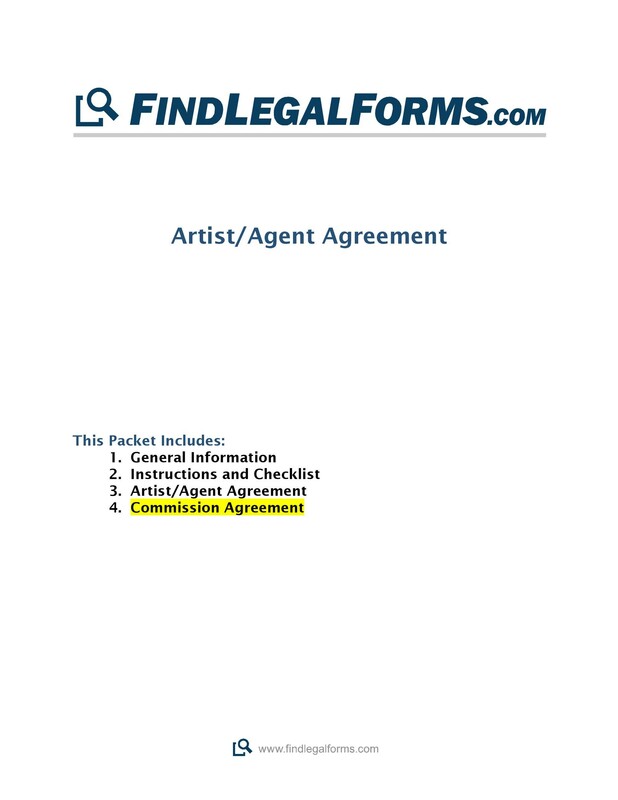 That way, you can document all the terms of your employment in a written agreement. 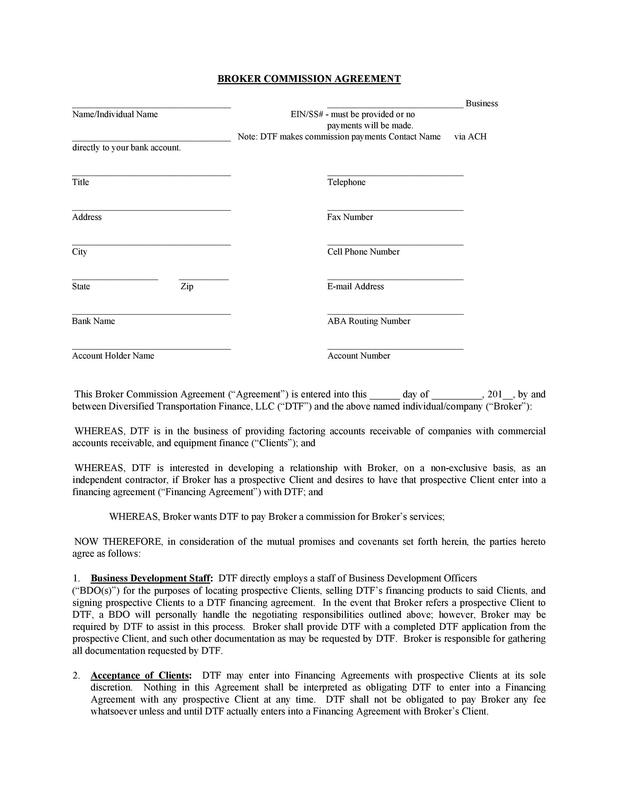 This agreement can come from the employer or the employee. No matter what type of agreement you create, it will serve a single purpose. 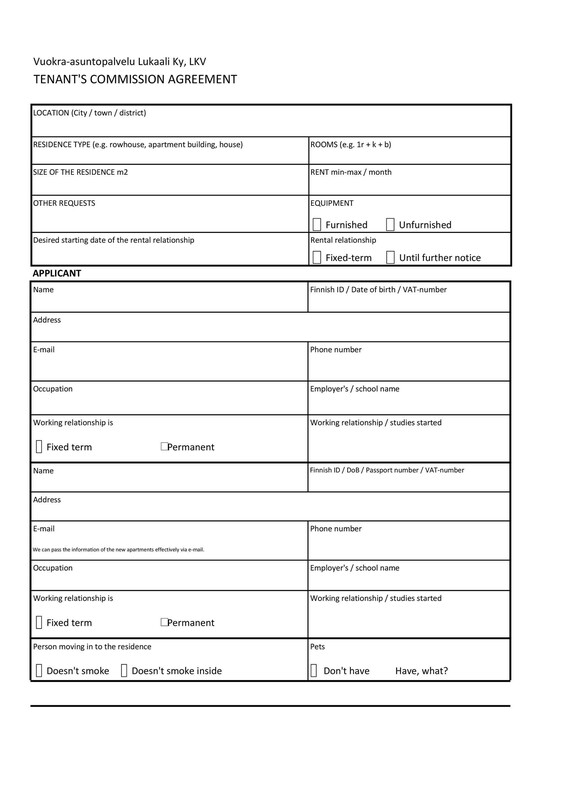 Such document is very helpful for the employee and the employer. In it, you’ll outline the details of your whole work relationship. You can include the expectations of the employee and the commission percentages. Such documents will benefit the employer and employee. It would benefit the employee because it would contain all the terms. This will help avoid any misunderstandings with the employer. It will also benefit the employer. 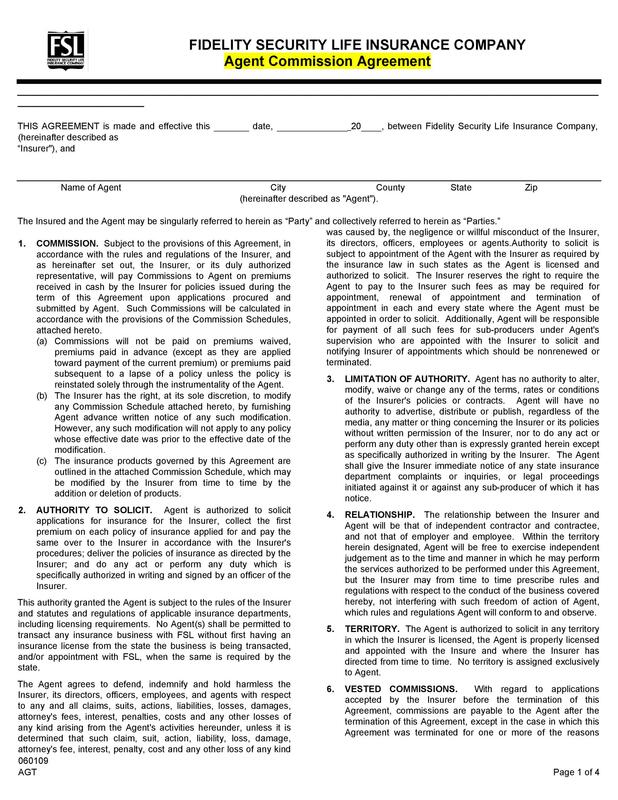 The employer or business can use the document to safeguard their business. 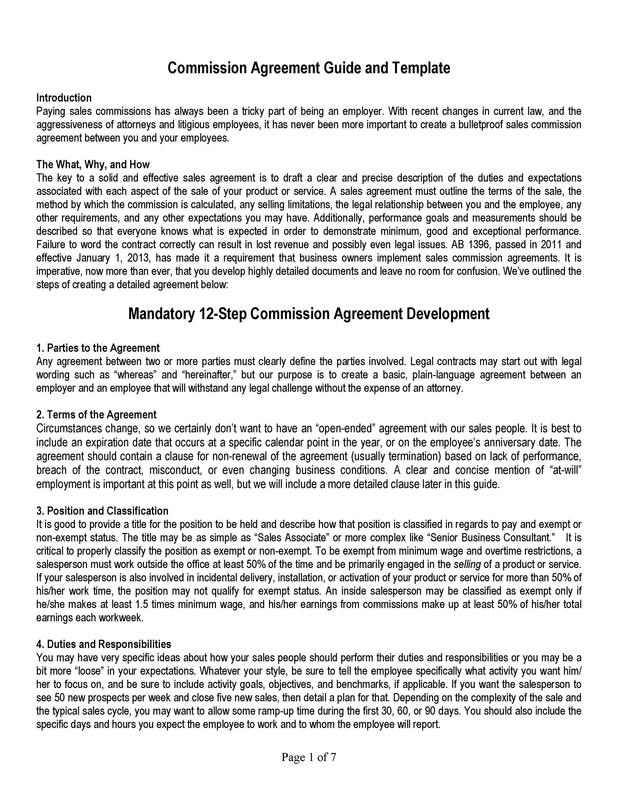 To do this, they can include non-compete and confidentiality clauses in the agreement. 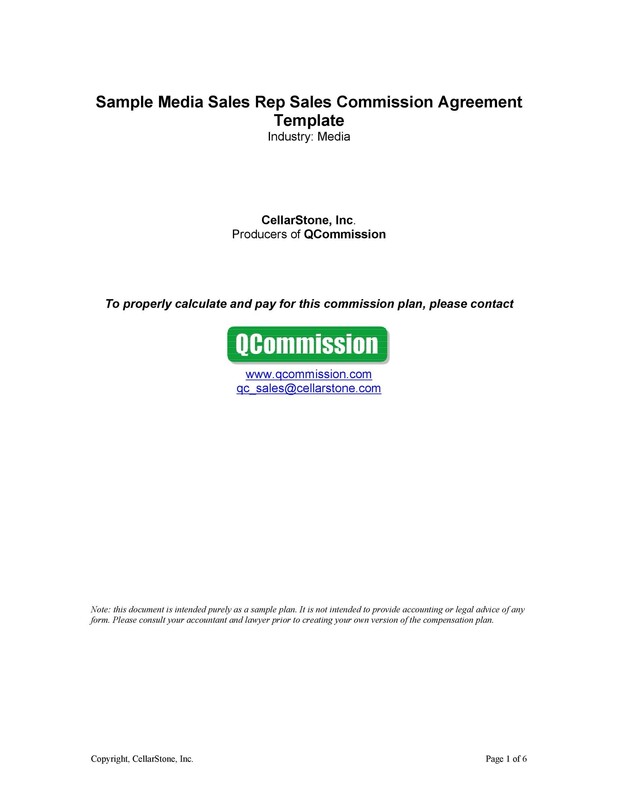 A sales commission agreement is important when a salesperson gets paid on commission. 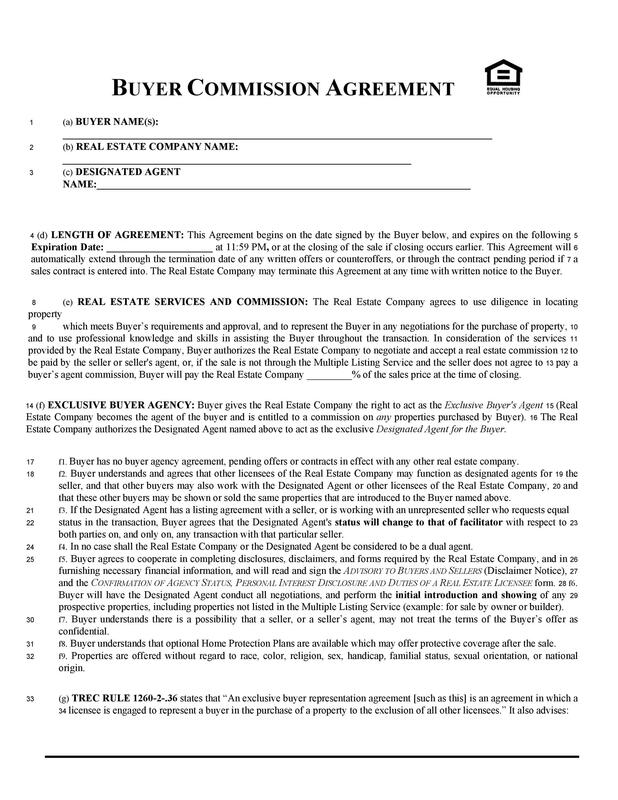 For a real estate business, can use a real estate commission agreement for your agents. 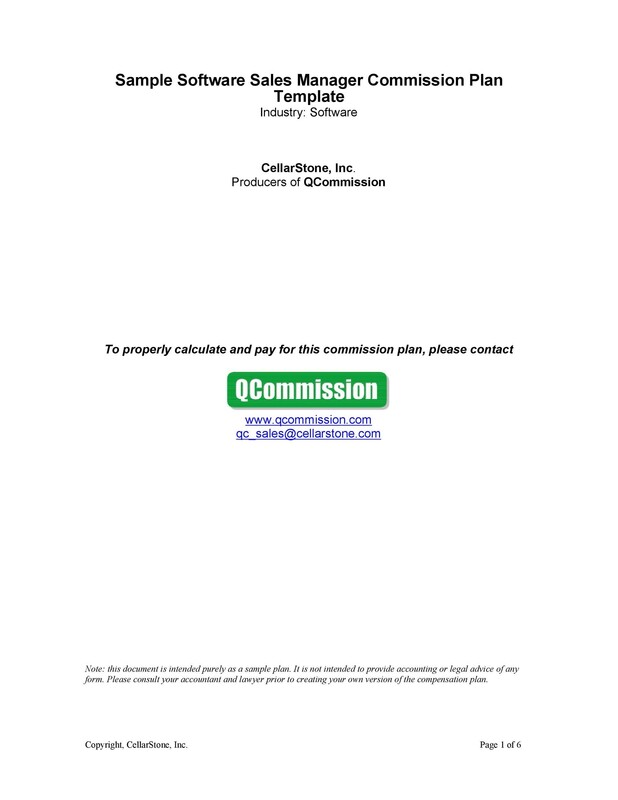 There are different types of commission agreement templates you can use. 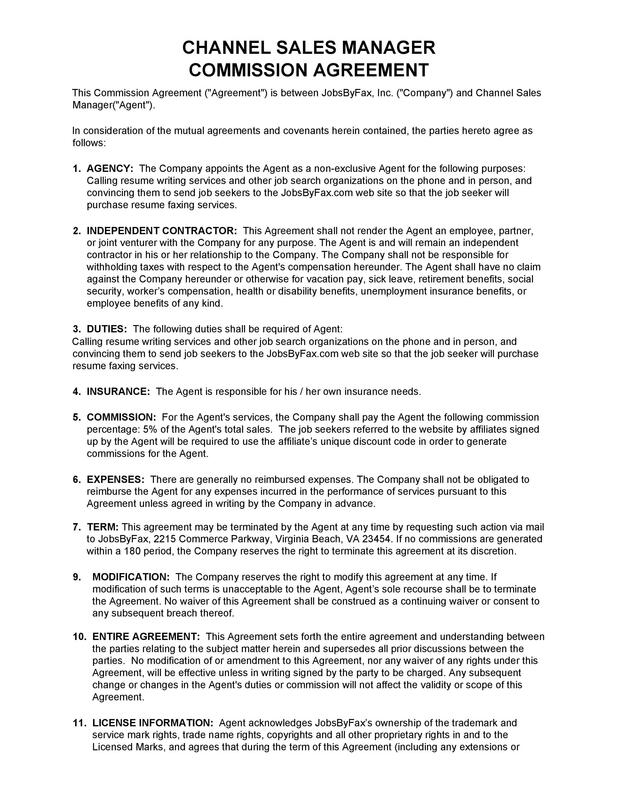 Typically though, employers craft such agreements for specific employees. It’s usually for employees involved in marketing or sales of products and services. 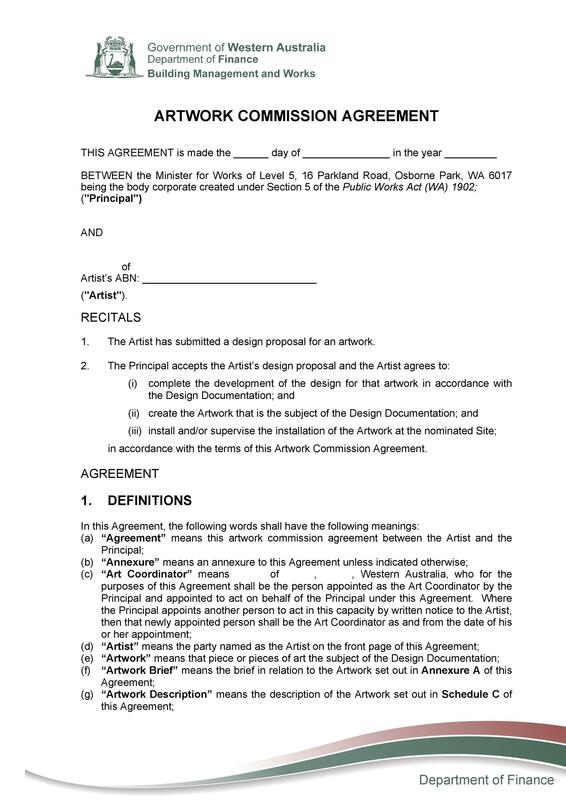 Such agreements are useful when these employees get paid on commission. 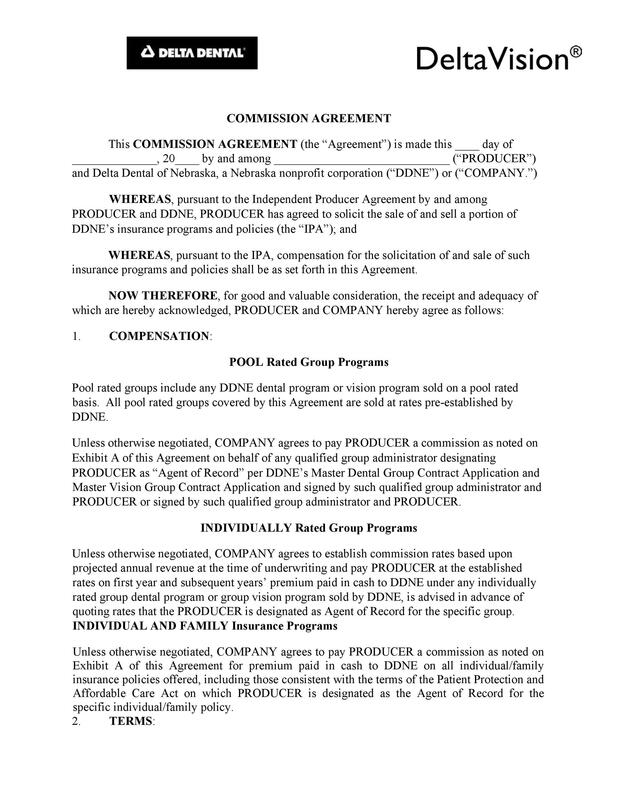 A commission agreement form includes some important information. It should contain the name and address of the business. 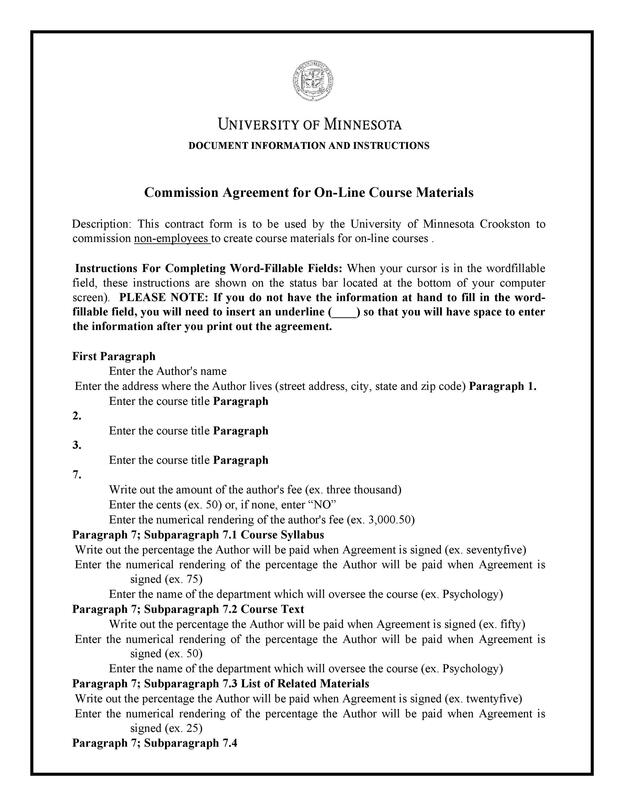 When you’re drafting your document, make sure that all the information on it is accurate. You can create the template on your own or you can download one from here. 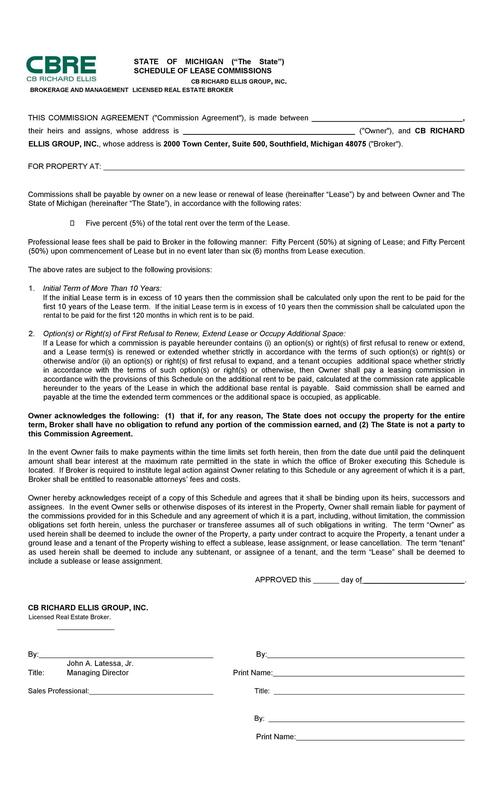 Before you create your template, learn about the different parts of the agreement. 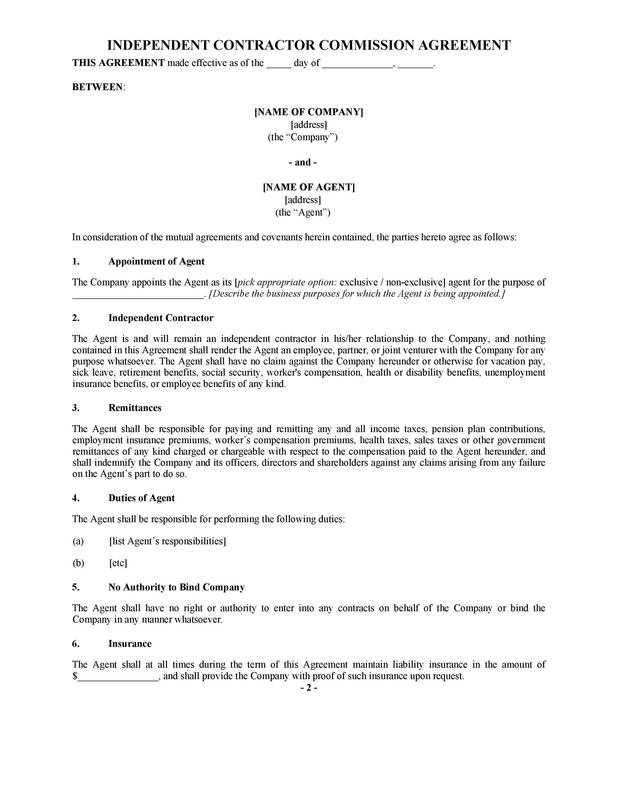 A commission agreement is a document used by employers. You create it when you wish to employ people to increase the sales of your business. In return for their services, you’ll pay your employees on commission. 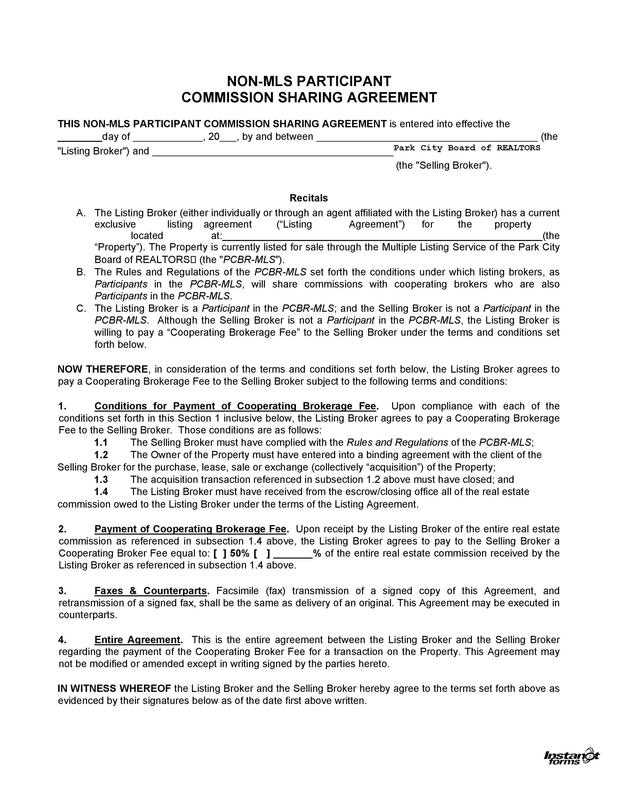 We’ve gone through the different types of commission contracts you can make. For instance, you may hire sales agents for real estate. 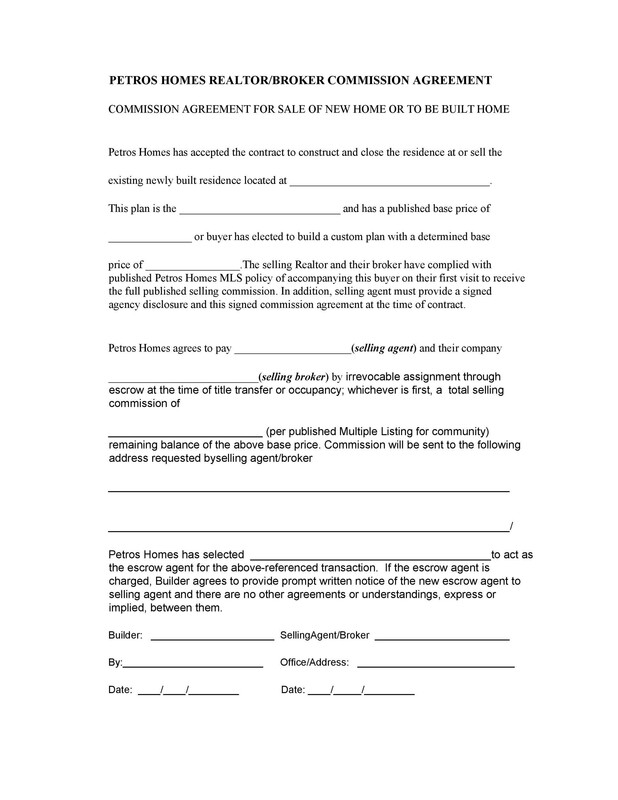 Then you can prepare a real estate commission agreement. 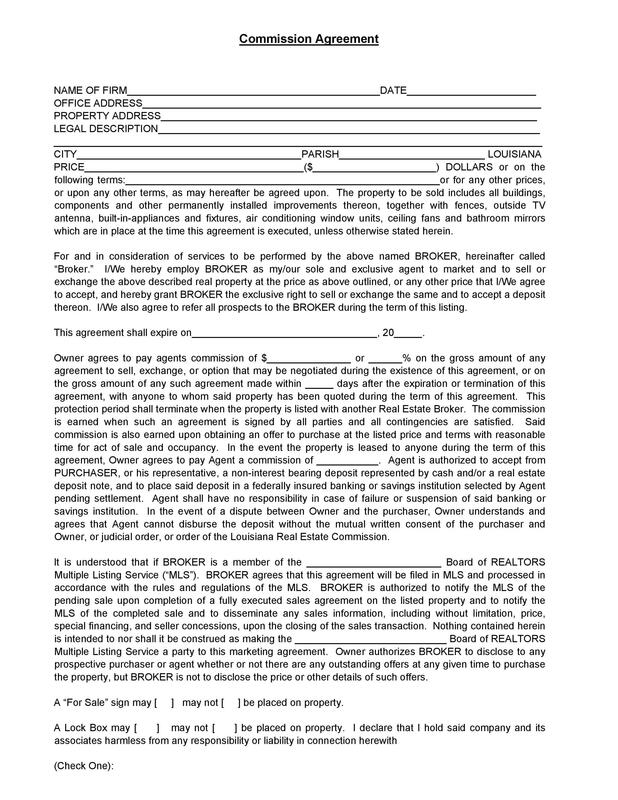 The document you make will mainly depend on the nature of your business. When you design your template, you should know who it’s for. In doing this, you can include the right language and all the required information. 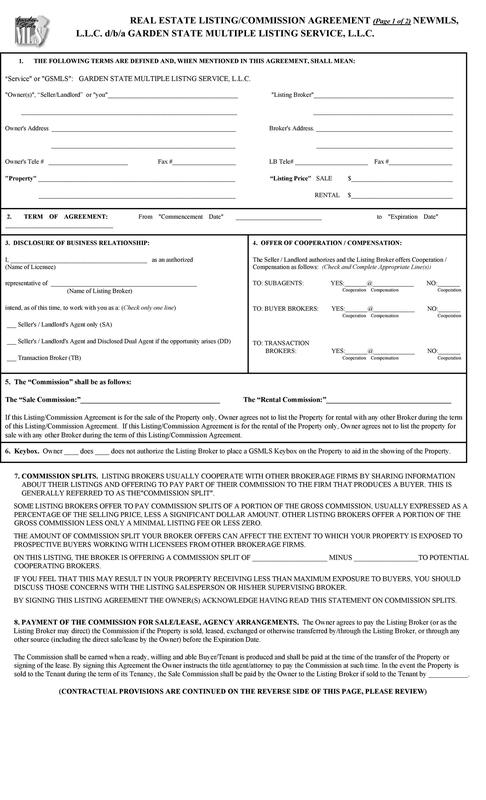 Hiring employees who earn their pay on commission may be part of your business. 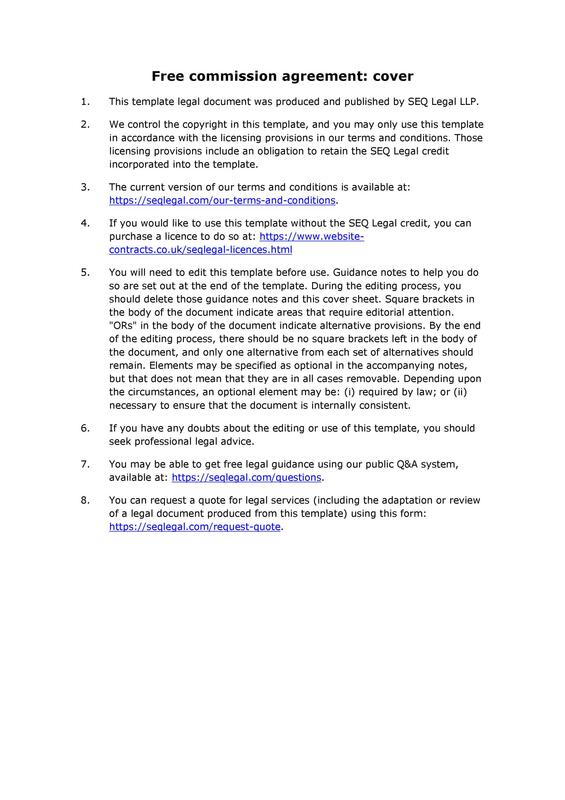 In such cases, you should know how to make the template for your agreement properly. 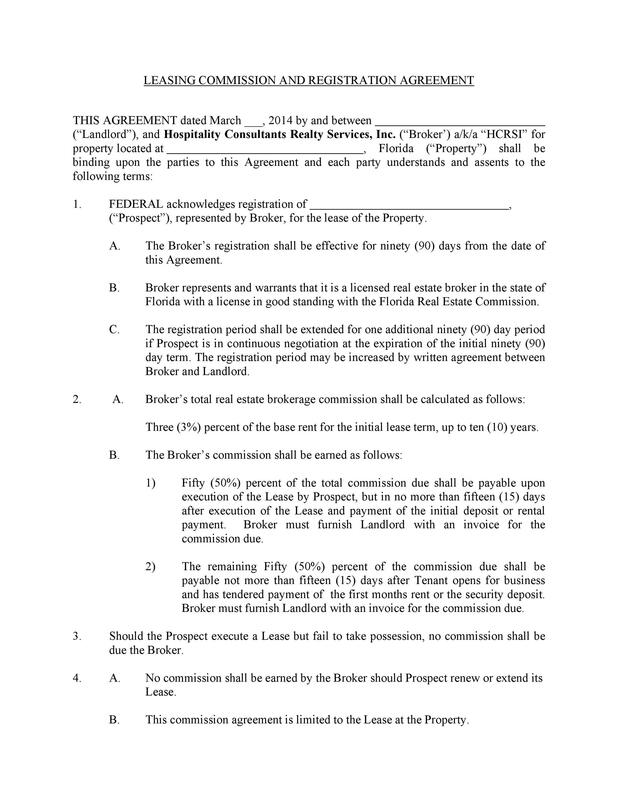 In the agreement, you’ll state all the terms of the contract. 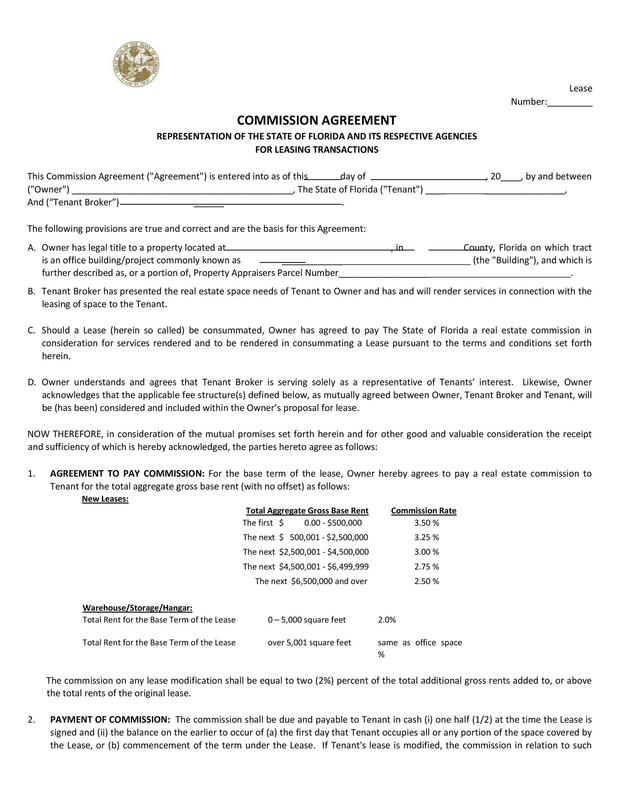 Usually, the employee will receive a commission or a fee each time he completes a transaction. For instance, you employ salespeople to sell your products. 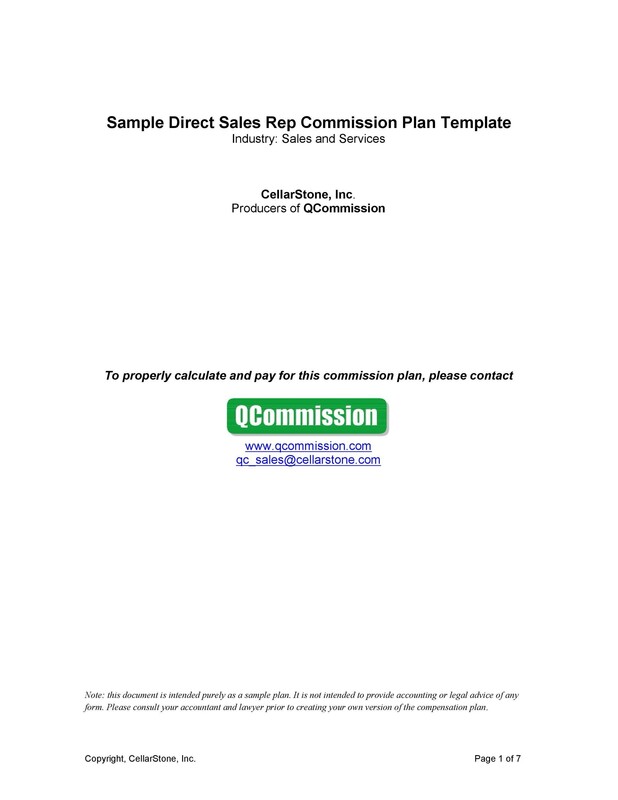 Then the commission would depend on how many of your products he can sell to the customers. 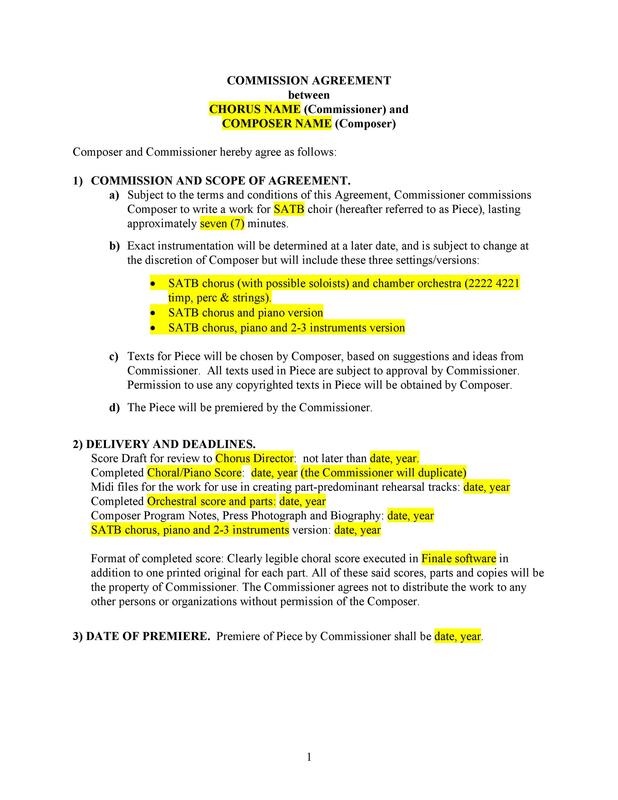 These are the basic parts of a commission agreement. Of course, you can add more clauses as you see fit. Just make sure that whatever you add is relevant to the document. You don’t need to include any information just to make your document longer. Doing this might even end up confusing your employees further. The agreement should make things clearer. But your employees might have more questions about it if it’s too long. So it’s better to make a clear and concise agreement which is easy to understand. 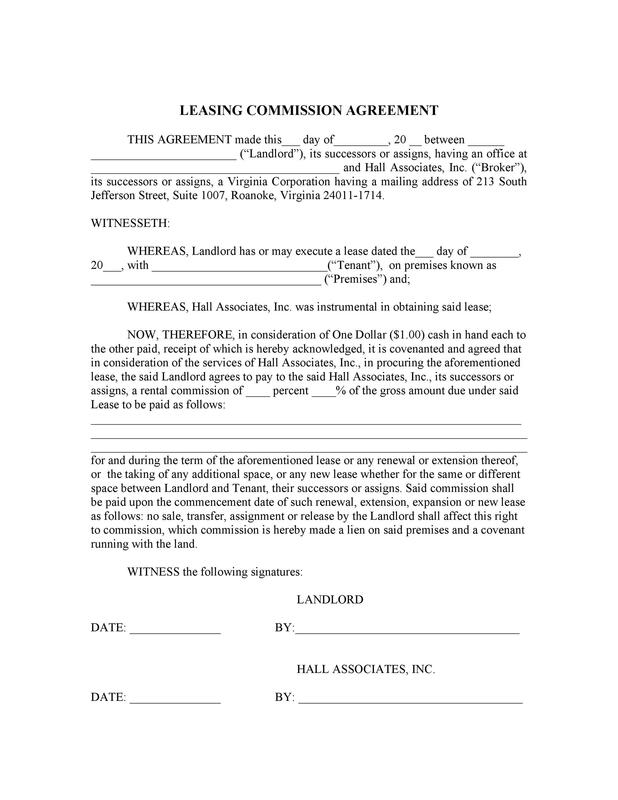 Commission agreement forms are generally structured around the goals of your employees. This is because you will reward the employees for their hard work. The structure will depend on your preferences and the nature of your industry. 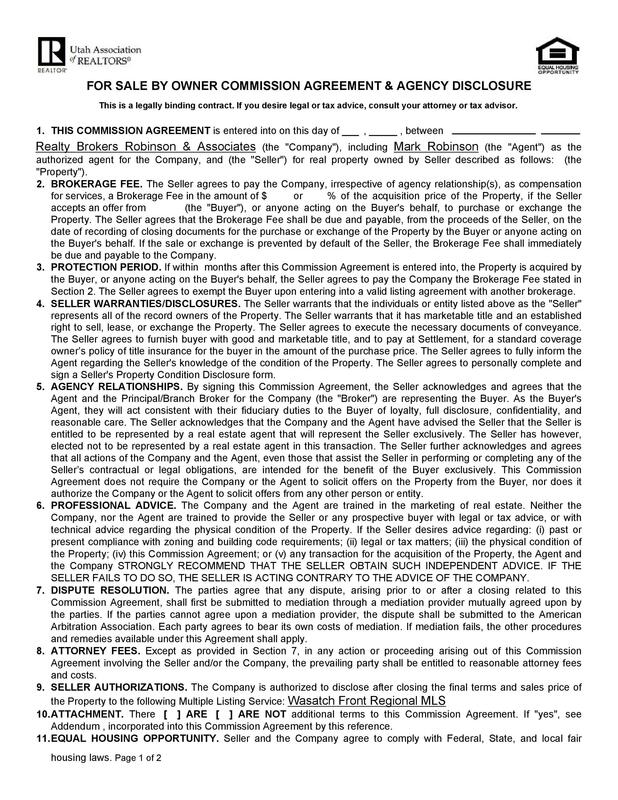 The structure for a real estate commission agreement will differ from the structure of a sales commission agreement. There are different templates you can create. This means that you have to choose which template to use carefully. There aren’t any standard rules for the structure of these documents. The goal here is to discover what will motivate your employees. 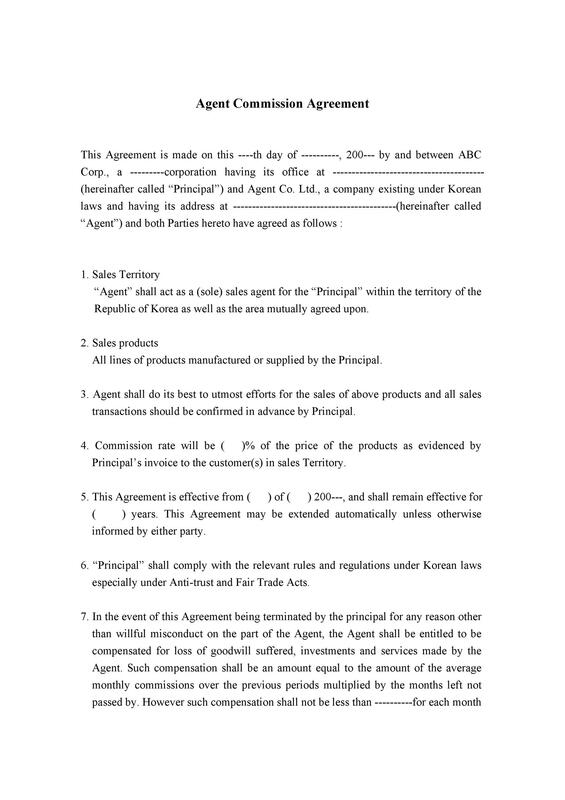 Also, you need to create the agreement so your company will benefit from it too. 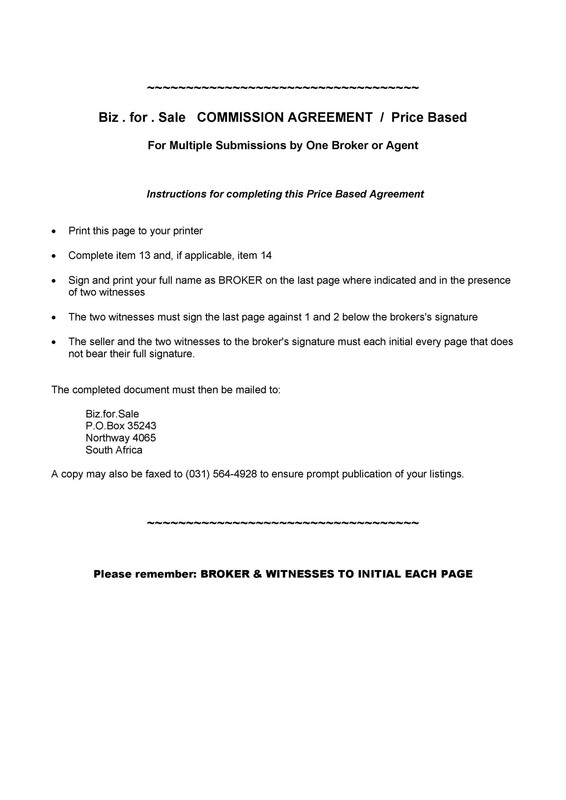 When you create a commission contract, you can also include a basic salary. Offering this to employees will ensure that they have something to look forward to. Plus, there’s the incentive of getting a bonus if they work harder. This can help keep your employees motivated and productive. Some companies offer a good salary and a minimal commission. This ensures that their employees work hard and remain loyal to the company. Unfortunately, this type of structure may not work with all types of businesses. The basic salary and commission you offer to your employees may vary. Usually, though, companies offer around 30% of the income from the basic salary. Then the other 70% would come from the commission. But if you don’t have a lot of competitors, then you can even try a 50-50 structure. Before you offer of structure to your employees, learn about what motivates them. You may discover that some of your employees aren’t really motivated by commission. They may feel more motivated by a higher base salary and lower perks. The structure of your agreement should also depend on your employees’ motivations. 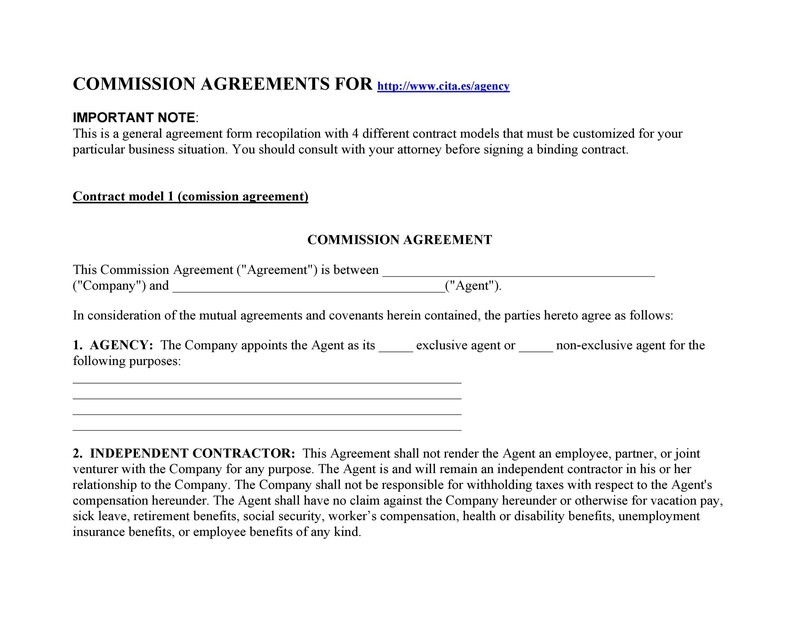 You can also create an agreement wherein the employees only earn through a commission. This will ensure that your employees are always motivated to work harder. If you use a commission-only structure, your employees would have to work hard. Such structure can be very beneficial for employees and employers. This is especially effective for employees who really enjoy what they’re doing. Using this structure would ensure that you always have money to pay for your people. Of course, not all businesses can use this type of structure. Only use this type of agreement structure if you have dedicated employees. Also, you need to make sure that your employees can live-off the commission they earn. Finally, when you use this structure, also make sure that you can process payments quickly. 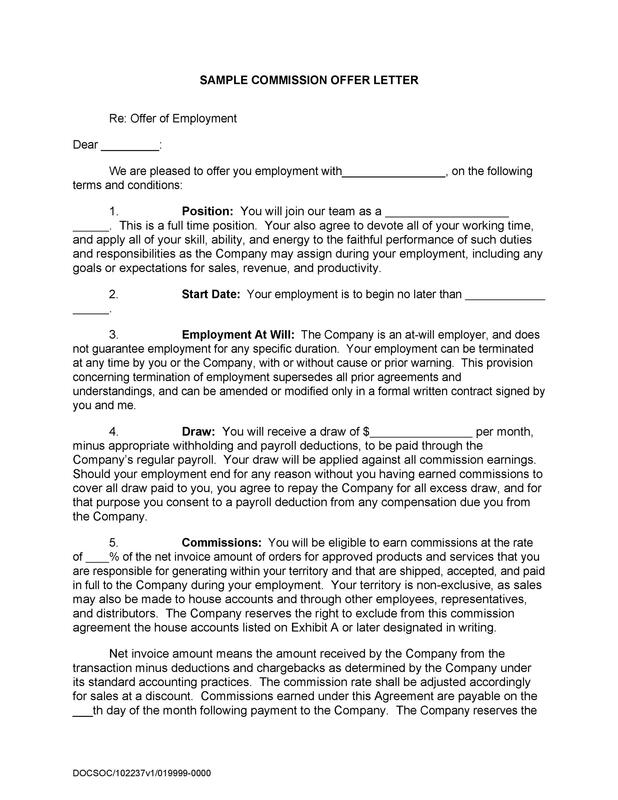 Do this so you can pay your employees’ commission in a timely manner. This is much like the commission-only structure. But the difference is that you put a cap on the amount of commission your employees can earn. This type of structure applies to certain businesses. These are businesses where the agents earn huge amounts of commission from selling products. This means that your employees won’t earn anymore when they reach their limit. Even if they sell more products, they won’t make extra money. Because of this rule, this type of structure is quite controversial. Some companies believe that it may lower the motivation of employees. When an employee reaches his limit, he won’t feel inspired to keep on working. That’s because he knows that he won’t get paid for his efforts anyway. Capped commission structures can be a negative thing for high-performing employees. This is especially true for those who want to keep on working to earn more. On the other hand, it can also boost the performance of some employees. This is especially true if you have a big commission cap. It’s like you’re offering the employees a chance to keep on earning until they reach the limit you’ve set. This is another version of the commission-only structure. You can use this if you have highly-driven employees. These employees are ones who are highly motivated to reach their sales goals and quotas. You may notice that your employees are getting better at their jobs. That’s the right time to take advantage of that momentum. Come up with a structure that will push them to exceed their set goals. Rather than just giving commission, incentivize the work through a tiered commission structure. This will give them a reason to keep on going which will be good for the company too. In such structure, you set specific goals for your employees. When the employee reaches the goal, he would get the full commission. If he’s able to exceed the goal, then you will give the employee an increase in the commission. This is the basic principle in tiered commissions. The more your employee achieves, the higher his commission can be too. There may be cases when the sales people all work with the same clients in one area. In such cases, create an agreement structure which will protect and benefit them. A territory volume structure will allow the team of sales people to widen their network. To do this, they need to work together. Then you can pay them based on territory-wide sales, not their individual sales. 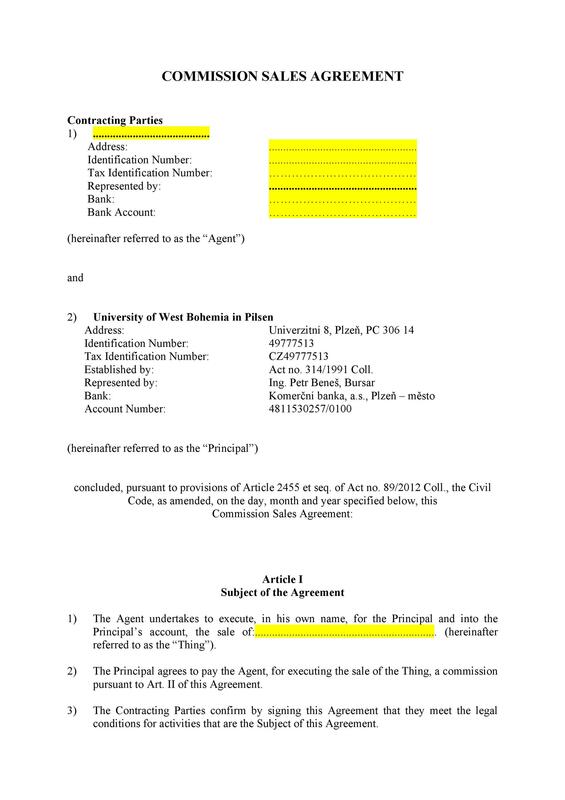 Such contract should come with a good commission offer and a good territory too. The benefit of assigning a specific territory is that it will protect the people assigned to it. This means that other sales people can’t poach on their customers. The disadvantage of this structure lies with the individual sales people. They are the one’s who have put in a lot of work to gain customers. If a team of sales people gets assigned to their territory, the individuals may have to move elsewhere. 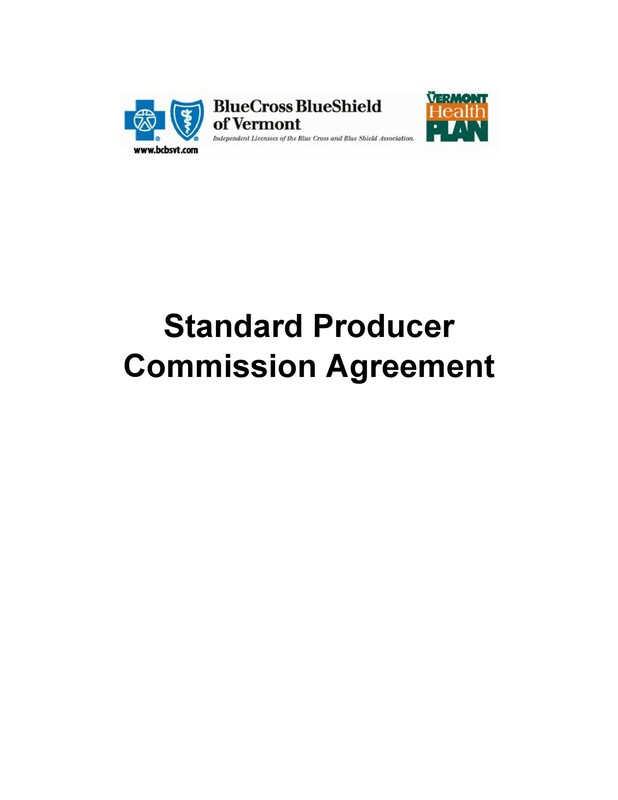 Some businesses may also choose the placement fee commission structure. This is typical with car dealers. Usually, sales personnel earn a fixed placement fee for every car that they’re able to sell. This type of structure may work well for businesses which sell expensive products. These require a lot of interaction with the customer. Such businesses are also quite competitive. Let’s stick with our example on car dealerships. The dealership near may increase their placement fee. When this happens, your employees might get convinced to work for them. Because of this, businesses who use this kind of structure have a high turnover rate. But if you’re the business which offers the highest fee, then it could be quite beneficial for you. 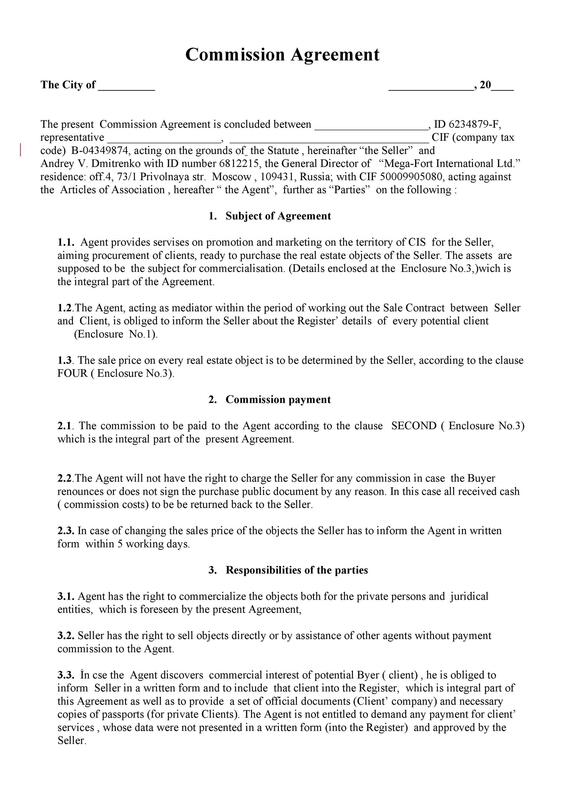 There are different structures you can use to create your commission agreement template. There’s no “best way” to create the agreement. You need to learn about your company as well as your employees. Do this to be able to create an effective agreement that’s beneficial for everyone.